We are excited to announce that we are now offering Venus Viva treatments. 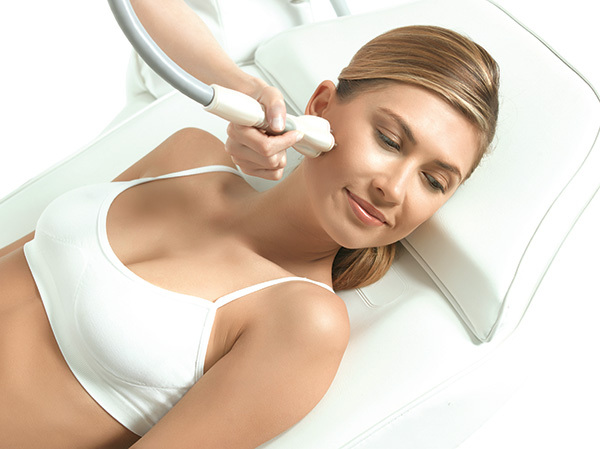 The Venus Viva combines NanoFractional Ablation, Radio Frequency (RF) and one-of-a-kind SmartScan technology to treat multiple concerns in the same session. The treatment safely delivers reparative heat to deeper layers of your skin while preserving the integrity of the epidermis. The heat generated by the RF begins at the surface and spreads under the skin, much like an ellipse. Depending on the settings, the greatest degree of damage will either be relatively superficial or more aggressive and deep. However, both options leave the epidermis mainly in tact with only a portion of the damage visible to the naked eye. The fractional ablation process activates the body’s ability to naturally rebuild and regenerate collagen, which addresses a wide range of common concerns. These concerns include wrinkles, discoloration, acne scarring, lax skin, and stretch marks. We recommend conditioning the skin for about 6-8 weeks prior to your treatment with a retinol product, ZO Retamax is one of our favourites. The healthier and stronger your skin is, the quicker you will heal and the better your results will be. It is a good idea to stop your retinol product about 5 days prior to your treatment. Your skin will be numbed prior to your treatment and the actual service itself only takes about 30 minutes. Downtime is about 4-7 days for full healing, but most redness has subsided within 24-48 hours. Also, jane iredale mineral makeup can be worn after 24 hours to help conceal any redness or pinpoints. 1-2 days post treatment you should start to use ZO Revitatrol and continue until the redness is gone. Revitatrol delivers essential hydration, as well as helps replenish lipids and restore the skin’s barrier, while reducing the appearance of redness. Let us know if there are any questions about the technology or treatment and contact us to inquire about our introductory pricing.